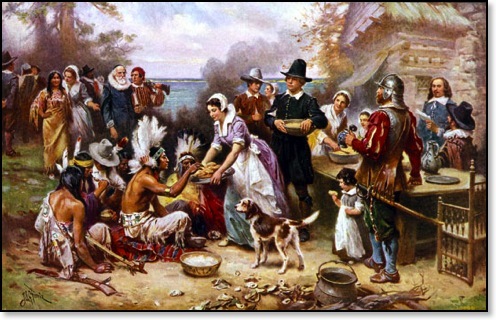 The first two years the Pilgrims were thankful just to be alive. Only after the harvest of the third year were they finally able to give thanks for a bountiful harvest’ From than on they could look forward to a future filled with promise. The fact is, after the fall of 1623 the Pilgrims would never again face starvation.